WE’LL BE YOUR VOICE FIGHTING FOR SHARKS. The single most powerful tool to protect endangered species is the United Nations treaty known as The Convention on International Trade in Endangered Species of Flora and Fauna (CITES). The listing of a species on a CITES Appendix carries teeth; CITES decisions are enforceable by its member nations. The delegates to CITES, scientific authorities from 183 nations, will meet May 23 to June 3, 2019 in Colombo, Sri Lanka to decide the fate of many species currently threatened with extinction. CITES is where the future of African elephants, rhinos, pangolins, birds, trees, and many other species will be decided. CITES meets once every three years. Shark Research Institute has sent scientists to CITES every year since 2002. This year we are sending three of our scientists to the meeting in Sri Lanka to present delegates with peer-reviewed scientific evidence in support of additional shark species being considered for CITES protection. Since 2002, protection has extended to the whale shark, basking shark, white shark, seven species of sawfishes, oceanic whitetip shark, porbeagle shark, scalloped hammerhead shark, great hammerhead shark, smooth hammerhead shark, silky shark, all three species of thresher sharks, all manta rays, and all devil rays. This year we anticipate that the proposals listing shortfin and longfin mako sharks on CITES Appendices will be hard fights and we have been working behind the scenes gathering support for these and other marine species under consideration; including six species of giant guitarfish and 10 species of whitespotted wedgefish. We also will be working to prevent the removal of existing protection for other threatened and endangered species. Being part of the negotiations at CITES matters. It's also costly. 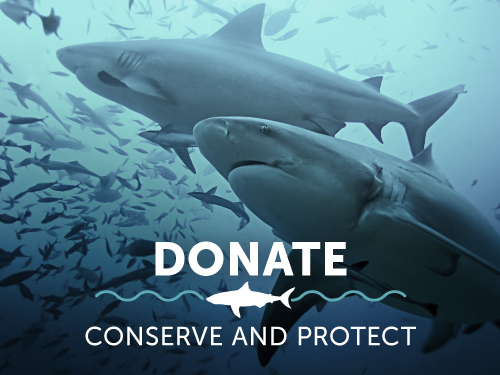 Please consider a donation to support our work being your voice for sharks at this critical international conference and winning the war against greed, ignorance and cruelty.